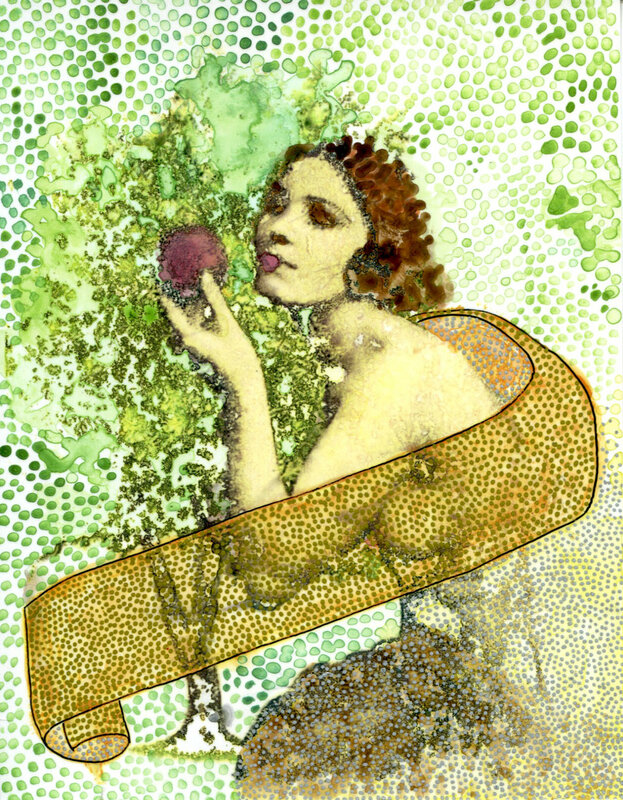 Eve is a female figure of great interest because of her duality. The naïve woman who was tempted and, later, the temptress. Throughout history there have been different opinions regarding her purity or evil balanced on the apple, but seldom we ask ourselves about her emotions and thoughts. With that in mind, I experimented with transfers, pen and markers on photo paper. Different approaches on the same image, speaking to the variety of opinions on her account.